Every year Actuation Valve sponsor an enterprise fayre with Northwood Community Primary School in the local area. This gives the children the opportunity to use real life skills and invest the money we give them into products that they can sell for a profit. 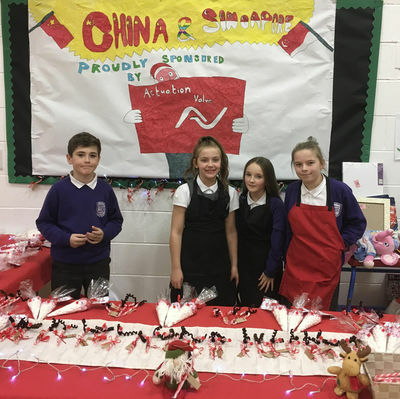 This year the class decided to make a range of confectionary items and had a successful day selling to other students, parents and teachers. They handle all transactions themselves including calculating change and cashing up at the end of the day to evaluate the profit made. All money the pupils make can then be spent at their discretion in the classroom on something they can enjoy for the rest of the year. Well done all involved.